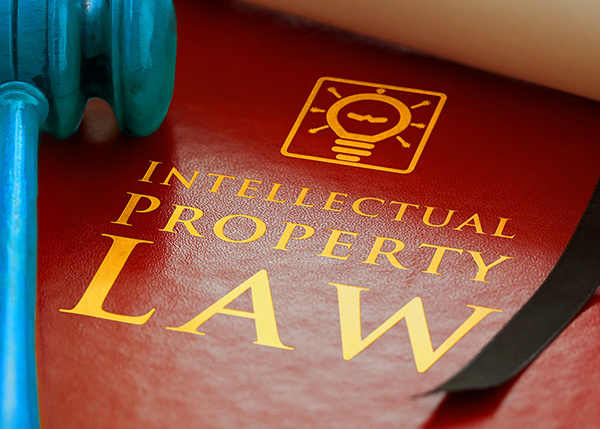 It might be the safety of a long-term investment, or the future-proof solutions, or the dedicated vertical focus, or the close cooperation with the team at all levels. 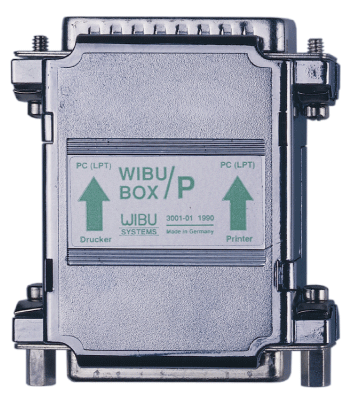 As if this was not enough, no other vendor has ever produced top-notch technological innovations as Wibu-System has done with unprecedented reliability. 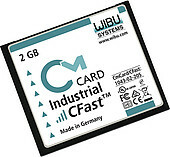 The hardware product lineup of Wibu-Systems continues to grow with a new product line, which includes not just the CmStick/BMC released at the end of 2017, but also CmStick/B and CmStick/BMI. All three devices, with their unmistakably robust and classy metal casing, meet the technical requirements for commercial (MLC flash memory) and OEM (pSLC flash memory) grades. CodeMeter is selected by Phoenix Contact as the best-in-class technology to streamline license and entitlement management of their PLCnext control system solution. The major reasons that drove the integration of CodeMeter into PC Worx Engineer were its support for different ERP implementations already in the field as well as the scalability and modularity of Wibu-Systems’ technology. CodeMeter successfully passes the enablement test for SGX, Intel's architecture extension designed to increase the security of application code and data. Currently available for Windows, CodeMeter uses SGX enclaves to keep the binding properties safe in memory during runtime and enable even better licensing and software protection. With the launch of CodeMeter Embedded 2.1, Wibu-Systems introduces a new structural and business model that allows intelligent device manufacturers to download an SDK specific to their operating system and architecture within 24 hours of their order. Wibu-Systems develops a password provider for Siemens’ Totally Integrated Automation Portal V14 SP1 or higher based on their Password API that allows all engineers employing the TIA Portal® to store and manage their TIA Portal passwords in a remarkably sophisticated secure hardware element, a CmDongle. CodeMeter Embedded 2.0 is the new breed of our runtime environment, supporting the complete array of platforms and operating systems that intelligent device manufacturers rely upon, including Intel x86, PPC, ARM, Windows, Linux, Android, VxWorks, and QNX. The modularity and scalability of CodeMeter Embedded 2.0 allows developers to integrate only the functionality they need for the smallest footprint possible. Blurry Box is a novel software protection scheme that uses seven published methods (creation, modification, and encryption of code variants, insertion of traps, decryption delays, choice of code variant, and state of the engine in the dongle). With such complexity, a would-be attacker would find it easier and less expensive to develop similar software from scratch than to hack the original software. 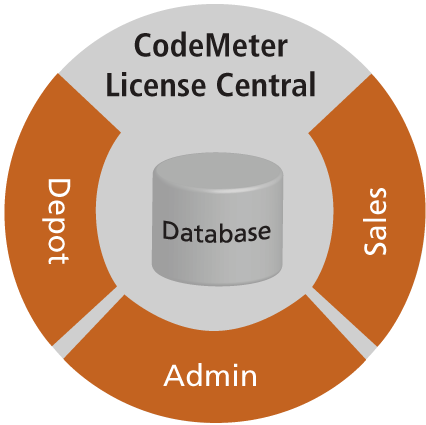 CodeMeter Cloud Lite has opened the door to license management in the cloud, fully interoperable with traditional implementations. CodeMeter Cloud Lite enables developers to easily license their SaaS applications, standard PC software, or mobile apps via the cloud. 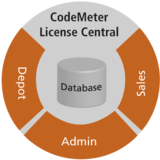 The server interfaces directly with CodeMeter License Central for streamlined license and entitlement management. CmStick/BMC, the latest generation of our hardware elements for the secure licensing of digital know-how and the smallest model with flash memory available in the world market, has won third place at the 2017 Automation Awards. CmStick/BMC introduces innovative and miniaturized components in the architectural design, like SiP (System in Package), for an extremely compact, robust, and elegant layout. Starting with CodeMeter 6.10 and CodeMeter License Central 2.20, software vendors can define whether and for how long their users can transfer licenses offline, leaving users free to either use the license directly on the server or borrow the license temporarily and transfer it to their local CmContainer for up to the maximum timeframe allowed. 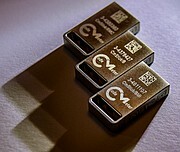 The excellence of CmDongles with flash mass storage starts with its ingenious security design: all hardware secure elements equipped with NAND flash memory couple Infineon’s EAL5+ evaluated smart card chips with Hyperstone’s flash memory controllers, characterized by high quality and endurance standards, advanced flash memory management software, and long term component availability. The new CmASIC is recommended for small devices and embedded boards; among its innovative technical features, CodeMeter ASIC supports both USB and SPI communications, operates in environments subject to extreme temperature fluctuations (-40°C to +105°C), and is delivered in a 5x5 mm chip size VQFN-32 package. The ANSI C based OPC UA SDK from Unified Automation integrates CodeMeter Embedded technology and offers manufacturers in the automation industry a ready-to-use set of tools to incorporate software licensing and greater security features in OPC UA architectures. Symmetric and asymmetric encryption keys are securely stored in CmDongles, ensuring the identity of the devices and the confidentiality and integrity of data. Trusted Platform Modules add to the already vast array of hardware secure elements CodeMeter supports. The software runs only on the designated machine, device, or embedded system where the CmDongle is mounted (incl. USB dongles, memory cards, ASICs and TPMs) and provides the functionalities associated with the secure license, safe from any sort of hacking.